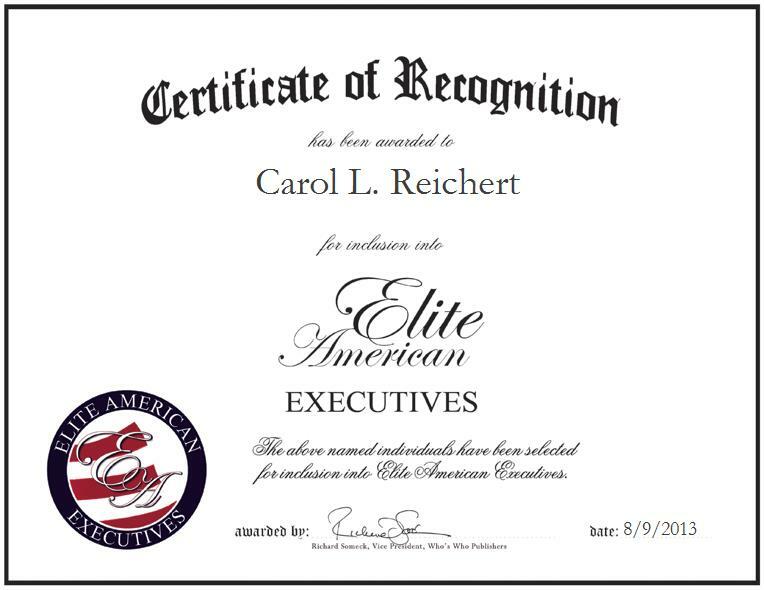 Carol L. Reichert is an International Purser and Flight Attendant at American Airlines, a globally renowned airline company. With a pronounced leadership and customer service background, Ms. Reichert expertly oversees on-board safety for 11 flight attendants and the passengers, and communicates with the pilots regarding weather and on-board issues. She works in first class and offers first-class service to travelers, and deals with medical emergencies, as well. With nearly four decades of professional experience in commercial aviation, Ms. Reichert stands out because she is not in it for the power; she enjoys what she does with a laid-back attitude. However, she expects professionalism from her crew. Ms. Reichert was part of a team from American Airlines who, back in 2003, transported soldiers to Frankfurt, Germany, where they were trained in chemical warfare and then went on to Kuwait City. She is a ballroom dancer and competed in the Arthur Murray School of Dance 100th Anniversary, which took place in New York City. Through it all, Ms. Reichert pinpoints her greatest career achievement as when she went to Kuwait City for the Civil Reserve Air Fleet, bringing soldiers to a combat zone when the United States went to Iraq to remove Saddam Hussein from power. Among her many accomplishments, feats and achievements, Ms. Reichert has come to recognize her dream of traveling and seeing the world—the reason that she answered her calling into the field of commercial aviation. Ms. Reichert plans to continue to do so in the years to come.